This is a sad day on so many levels. First, because the Herald has traditionally been one of those (what used to be called regional newspapers until devolution) that prided itself on its comprehensive coverage of the arts world, both in Scotland and in the UK. Secondly, because it cements the attitude, now growing in the boardrooms of the print media, that the arts is a frippery, a decoration. If pagination has to be cut because of falling advertising revenue, so the argument goes, then arts pages could go first. After all, readers will still look to their newspaper for their regular diet of national and international news, rather than search out a review of the latest theatre production or music concert. Heaven forbid that the same logic might apply, say, to the column inches devoted to motoring, or the farming supplement, despite the fact that the creative industries now outrank both the car industry and agriculture in terms of contribution to GDP. 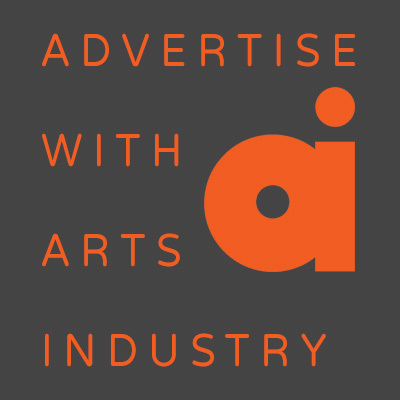 Nevertheless, as local, regional and national newspapers are buffeted by the storm of the Internet, which has purloined their readers and savaged their advertising revenue, the arts have been amongst the first casualties. As staff numbers have shrunk, critics have been fired or their contributions and wages cut. From the Boston Globe to the Billericay Bugle, the story has been the same. Still, you may wonder what the problem is. Isn’t all journalism, including arts journalism, moving online? Readers desperate to get their fix of film reviews or first night reviews can migrate to the Web. Why can’t the old buffers lamenting the old days over their glass of claret join everybody else on the Internet? There are two problems with this view. Firstly, the argument that “we are all critics now” ignores the fact that the sheer scale of the Internet and the cacophony of voices it engenders make it impossible to navigate successfully. How can you tell which of the many voices is paid to promote their film, play or CD? Much of what passes for reviews is a disguised form of marketing and in the online free-for-all, it’s almost impossible to tell who or what is paying the piper. Secondly, too much of the critical opinion on the internet is little more than an endless array of niche interests, algorithmic predictions and quick-hit popularity contests. The sheer speed of the Internet compounds the problem, creating a hunger for easily consumed and highly disposable content and eliminating long-form reviews and criticism. Everything must either be amazing or terrible to ensure click rates. Work must be “liked” or “disliked”, thumbs up or thumbs down. But no art is entirely awful or entirely perfect. Writing critically requires detail and nuance, something the online world finds difficult to grasp. Real arts criticism sparks a discussion, not a din. The good critic also shows the reader what is going on in a given discipline by writing about every possible side of it, details about the context of a symphony, about the composer’s other work. This extra information also plays its part in a reader’s decision whether to spend some of their hard-earned cash on an evening out. Reviews, think pieces and features can be seen as companion pieces to a work of art. They can provide a deep dive into the culture of the moment and provide meaningful insight. So hats off to those who do try to provide this kind of approach online. Like the team at the artsdesk.com, who continue to provide thoughtful, informative reviews on every conceivable artform; or Libby Purves, former drama critic of The Times, who responded to her removal from that newspaper’s arts pages by setting up the estimable theatrecat.com, where she continues to provide insightful first night reviews. But even these efforts can’t substitute for the breadth of arts coverage that is needed if we are to hear from the unusual, radical, or off-the-wall voices in the arts. West End plays and big name musicians will always find their way into the pages of the major newspapers. But what about the work of regional and local artists, the small galleries, theatres and music venues? It is critics, those “cut-throat bandits” as Robert Burns once characterised them, who chronicle the local punk rock dive or arthouse cinema, improv troupe or weekly poetry slam and bring them to the attention of the mainstream. Call them readers, call them consumers, but people are interested in nuanced, complex and even difficult art. But mostly they have neither the time nor the resources to hunt it out. Who else will find it for them? Finally, art needs coverage because it defines us as human beings. A newspaper with arts coverage reduced to a calendar of events or a rehashing of press releases is not reflecting who we are. It’s time that the media boardrooms recognised that.